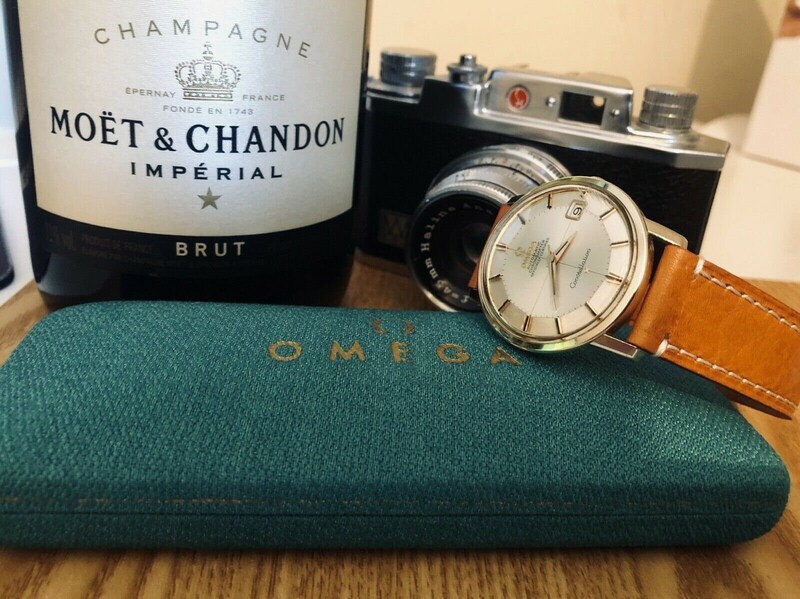 Look and feel dapper at work or a black tie event with a vintage Omega like this. What sets this apart from other Constellation Pie Pan is Jumbo status and original crosshair dial. 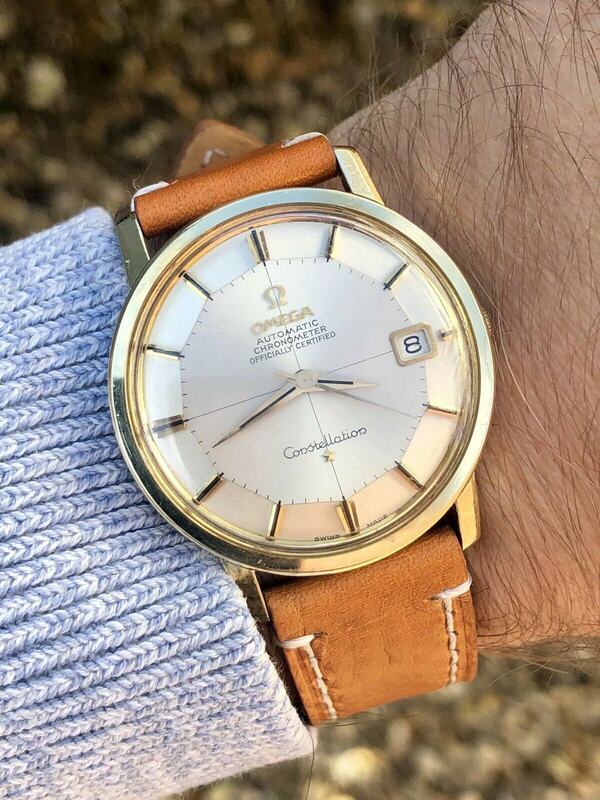 Please be advised vintage Omega sizes are smaller than today's standards. 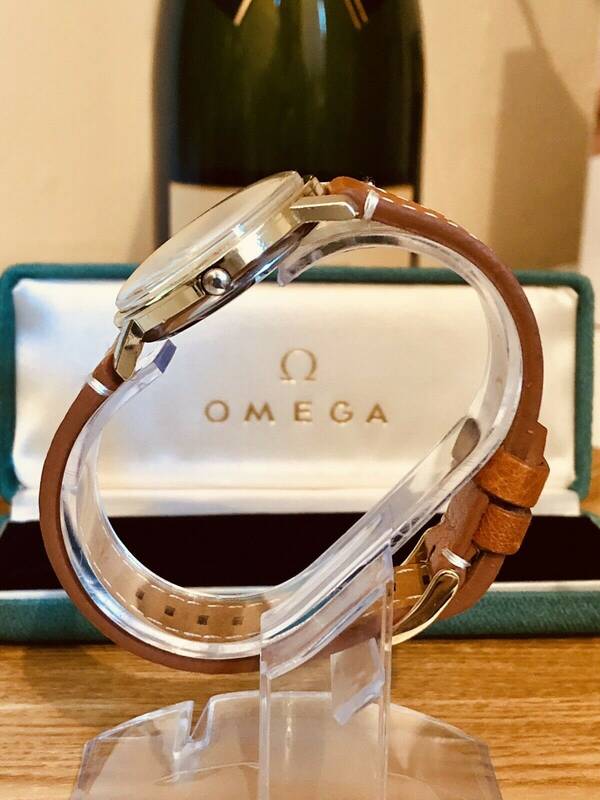 Therefore this may perhaps suit someone who likes the idea of owning a vintage Omega watch but has concerns over that the 34mm may be too small. 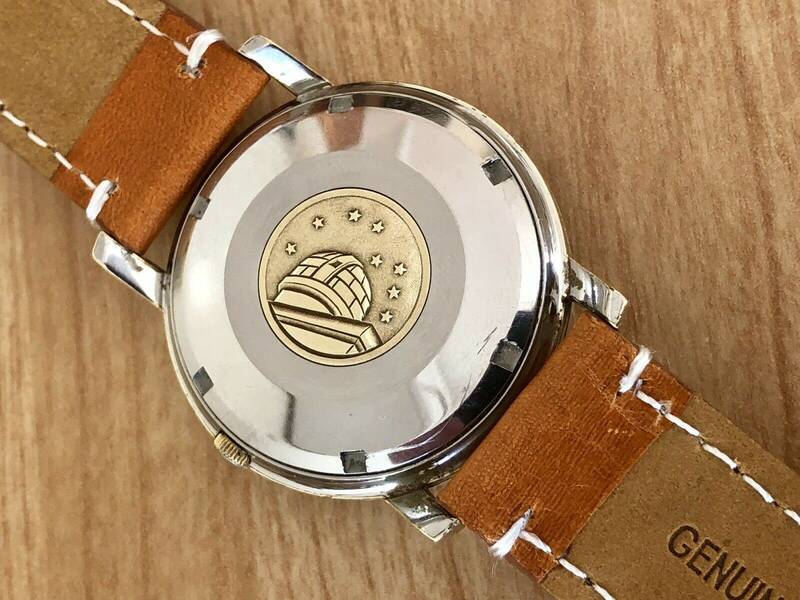 The movement is Automatic and really clean looking and very reliable as it has Chronometer status. 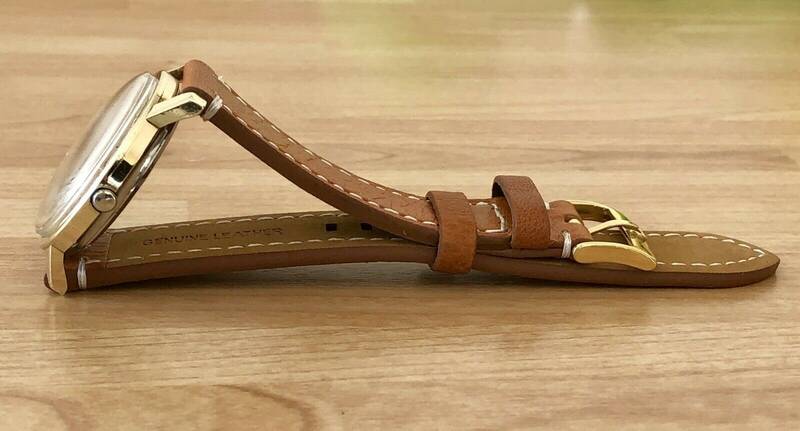 The new tan brown strap gives this watch a modern twist. If you prefer a classic black strap I can swap. Please message me shortly after checkout if you prefer this. 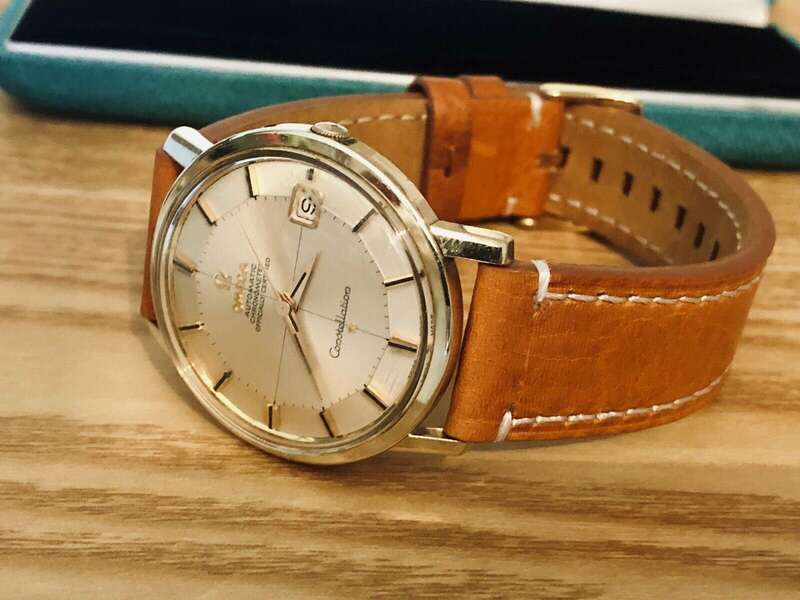 Its a classy and beautiful watch that looks very nice on a sunny day. The dial is original. 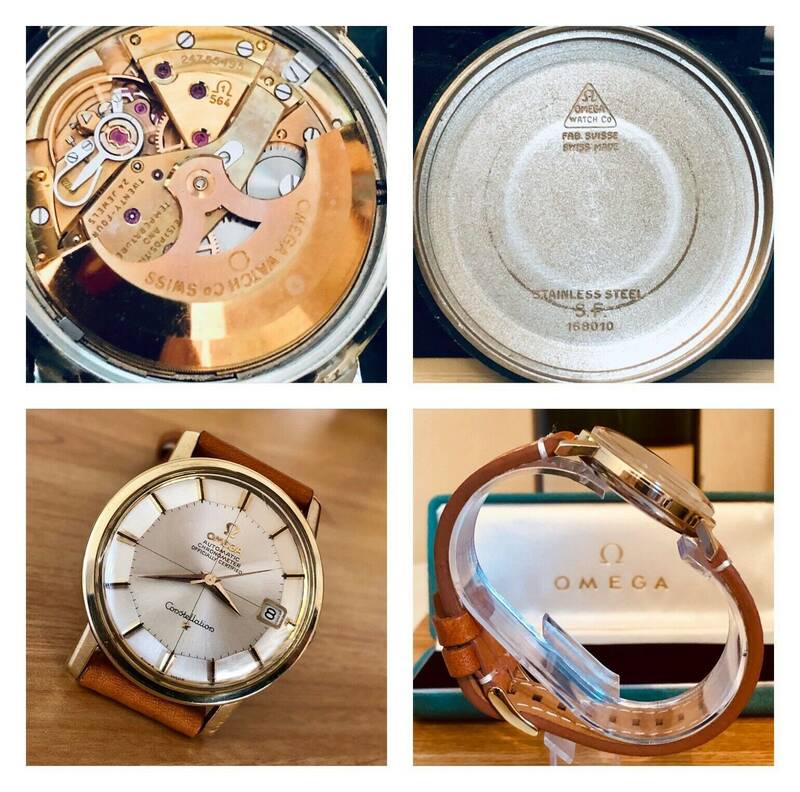 Overall condition would be 8/10 so expect imperfections with glass and case but as you can see from the high resolution photos the watch is in overall nice condition. Please study the photos as this makes part of the description. 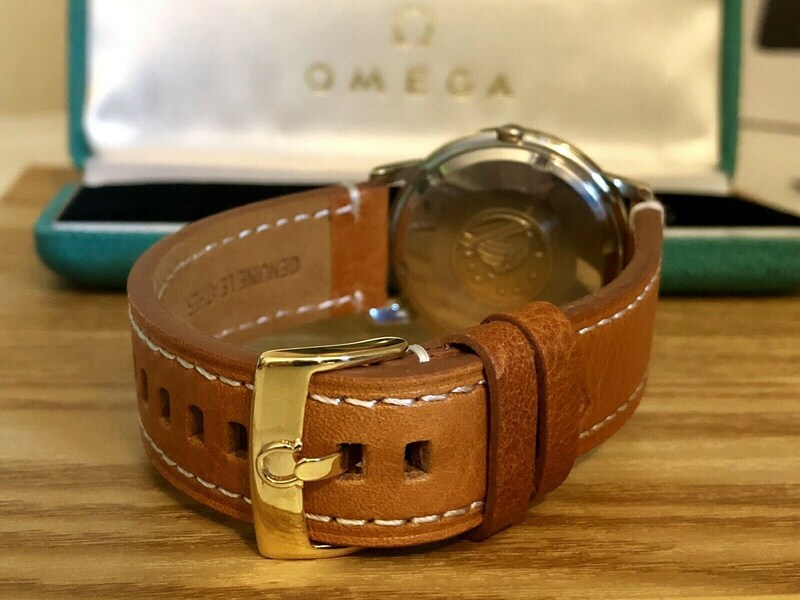 The inside of the back case has the Omega logo and is stamped with the model's serial number. 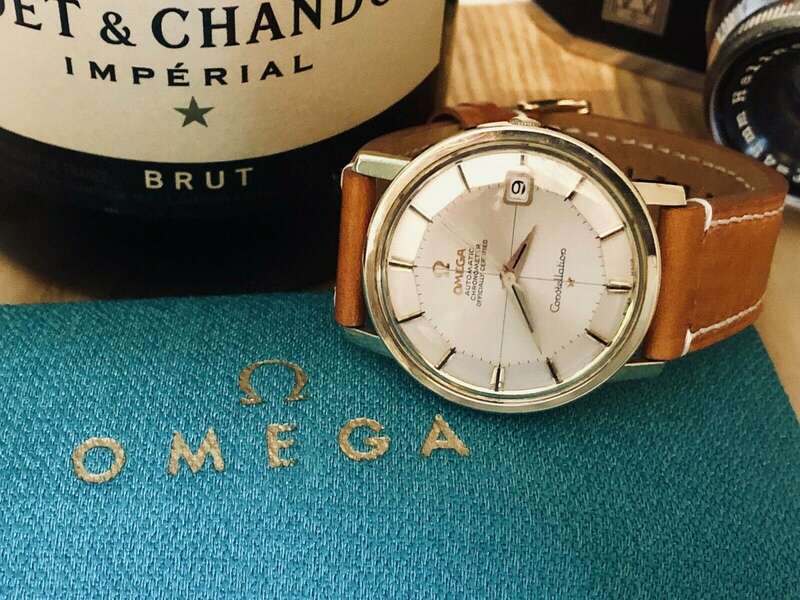 The movement itself is also stamped with the Omega logo and has a small panel with the calibre number and the identifying number. 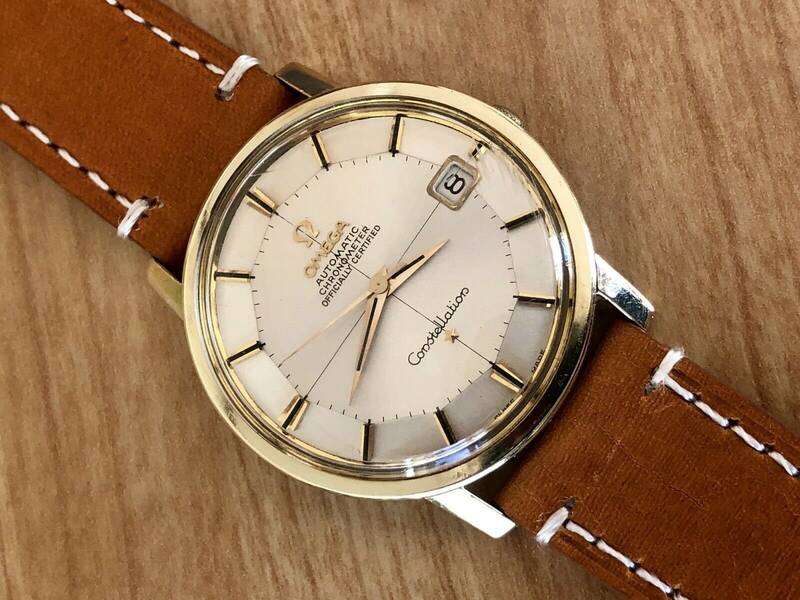 We have literally sold hundreds of luxury vintage Omega watches - view our excellent feedback. Perfect gift for a loved one or a treat for yourself. Priced to sell. The Omega box is included in sale. These are worth several hundred £/€/$'s on their own.